Today has been one of those brilliant, sunny, clear, bitterly cold winter days. We had things to do this morning but after lunch we decided to see what was going on in Bath, so Mrs Sixwheeler and I headed in to town. 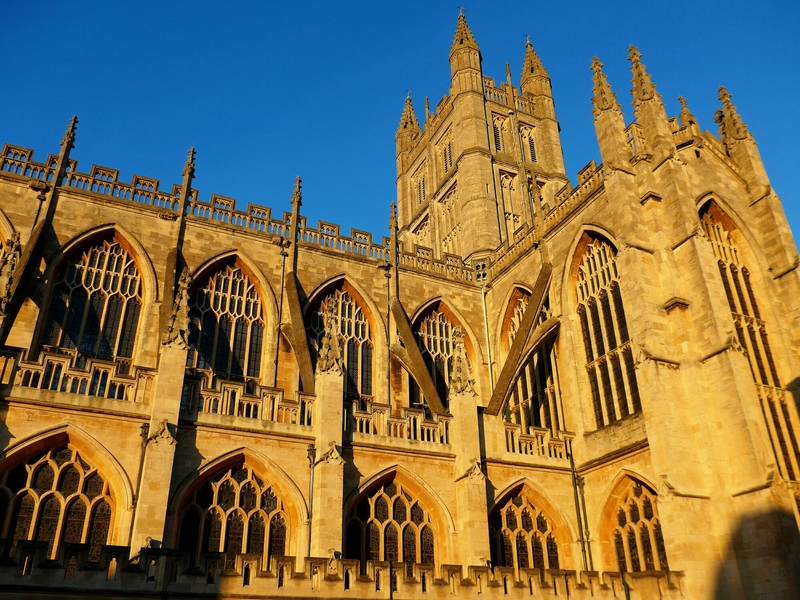 Mrs S was in shopping mode and found a bargain but I was just amazed by the late afternoon light on Bath Abbey with the cloudless blue sky above. A perfect way to wind up 2014!